Once we realize the amazing trips we can take by redeeming miles and points for award flights and hotel stays, that inevitably makes us more aware of ways to acquire more miles and points. This often leads us to wonder whether buying miles or points for these trips is a good deal. Airlines and hotels often send out emails to their loyalty program members promoting sales on miles and points that offer 40%, 50%, and even 100% bonus miles on top of the usual amount. Many loyalty programs have contracted Points.com to run these miles and points selling programs for them. Let’s dig into what Points.com has to offer and whether you should buy miles from them. When Should You Buy Miles or Points? Points.com sells miles for many partners. Image courtesy of Points.com. Points.com is a company that allows consumers to buy, exchange, and redeem miles and points. The exchange and redemption rates through Points.com are generally pretty terrible. They also partner with airlines and hotel loyalty programs to run their miles and points selling programs. In fact, if you buy miles or points from an airline or hotel, you might actually be making a purchase from Points.com rather than directly with the airline. The prices you’re charged for buying miles and points can be high relative to the value you can get from them, so you want to be sure you have all the necessary info before purchasing with one of the Points.com partners. Points.com also provides a loyalty program tracking service called Loyalty Wallet that allows you to keep track of your miles and points in one place. This is a similar service to AwardWallet, which also helps miles and points users keep track of their point balances and expiration dates. Points.com partners with a number of airline and hotel loyalty programs to sell miles and points to consumers. If you’re going to buy miles or points from one of these airline or hotel partners, make sure you use a credit card that will get you the best return for your purchase. Buying miles directly from an airline such as American, Avianca, or Delta will code as a travel purchase, but purchases through Points.com will not. Be careful not to mix up where you’re buying your points, or you’ll miss out on utilizing your credit card’s bonus categories. If you want to earn Chase Ultimate Rewards when buying miles or points through Points.com, check out the Chase Freedom Unlimited® Card that earns 1.5X points per dollar on all purchases. If you are buying directly from an airline, though, this would not be the best choice. The Chase Sapphire Preferred® Card and the Chase Sapphire Reserve® can earn you 2X and 3X points per dollar, respectively. If you want to earn American Express Membership Rewards, there isn’t a better option than The Blue Business℠ Plus Credit Card from American Express, which earns 2X points on all purchases up to $50,000 in spending every calendar year. When buying miles or points through Points.com, this card will earn more points than any other card on the market. Now, if you’re buying directly from an airline such as American Airlines, this changes the approach quite a bit if you want to earn Membership Rewards. You could earn 4X points per dollar with American Express® Gold Card, but if you really want to maximize your return, there is no better option than The Platinum Card® from American Express. This card will earn 5X points per dollar on purchases directly from airlines. By using a card that earns you the most points possible, you’ll earn a bunch of points that can be redeemed for future travel. Hot Tip: If you need some inspiration for future award flights, check out the best ways to redeem Ultimate Rewards and Membership Rewards. Now that you know what to expect when buying miles or points, the question comes down to whether you should buy them at all. The simple answer is that it depends on your personal situation. Let’s take a look at a few examples of when buying miles or points might be a good move for you. Many loyalty programs require activity on an account every 12 to 24 months for the miles or points to remain active. This isn’t usually a problem, but sometimes life events drastically cut down our ability to travel for an extended period of time. It would be a shame to lose your hard-earned points because of these situations. Often an account can be kept active by something as simple as earning or redeeming miles or points. With that in mind, buying miles or points can get you the account activity you need very quickly to ensure your miles or points don’t expire. With that being said, there are better ways to prevent expiration if you plan ahead just a little bit. By using a service like AwardWallet, you’ll know your miles and points expiration dates, and they will send alerts so you’re never caught off guard. You could also use an airline or hotel shopping portal to make an upcoming purchase. You might even go eat at a restaurant that participates in an airline or hotel dining program. If for some reason these other options don’t work out for you, buying miles or points can be a solid back up plan for keeping your account active. 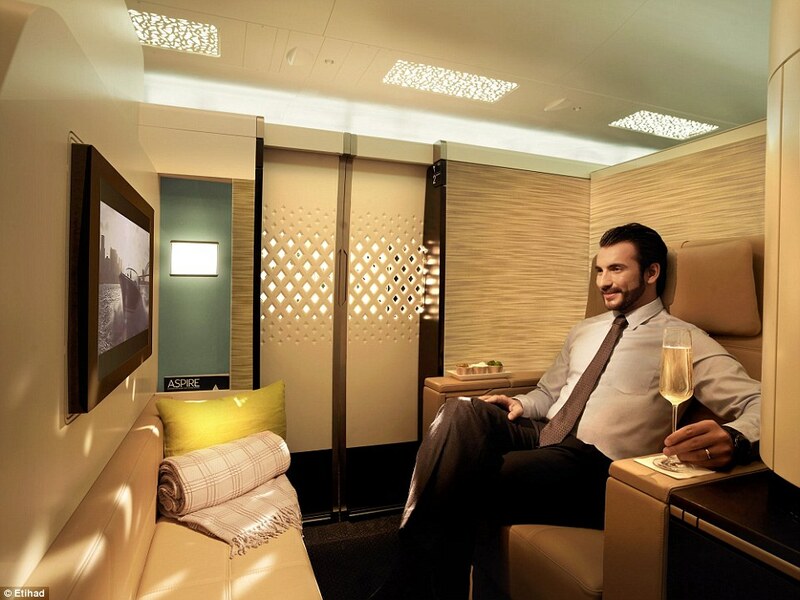 The Apartments on Etihad’s A380 are second to none. Image courtesy of dailymail.co.uk. Sometimes you can do everything right…but the timing of award space begin released doesn’t quite fit your schedule, and you’re still a few thousand miles short of an amazing redemption. This is when topping off your account by buying miles can make a lot of sense. For example, let’s say you want to book the famous Etihad Apartments from New York City (JFK) to Abu Dhabi. You have nearly enough American miles, but you’re just a bit short. You know that award availability can be tough to find on this flight from JFK, and buying the last few thousand miles could solve your problem. Hot Tip: American Airlines allows you to place 5-day holds on award flights, which means you can place the award you want on hold before buying the miles you need. This ensures that the award availability doesn’t disappear while you wait for the miles you just bought to deposit in your account! Not all airlines allow holds on award tickets, but when they do you should definitely take advantage of it when buying miles! Make sure you buy your miles during a promotional sale to get even more value. In the U.S., many people have access to credit cards that earn miles and points. These credit cards often come with sign-up bonuses that go a long way toward helping you book award flights. However, in other parts of the world, there often aren’t as many credit card options. If this is the case for you, buying miles can be a creative way to cut down on the cost of a fun flight. 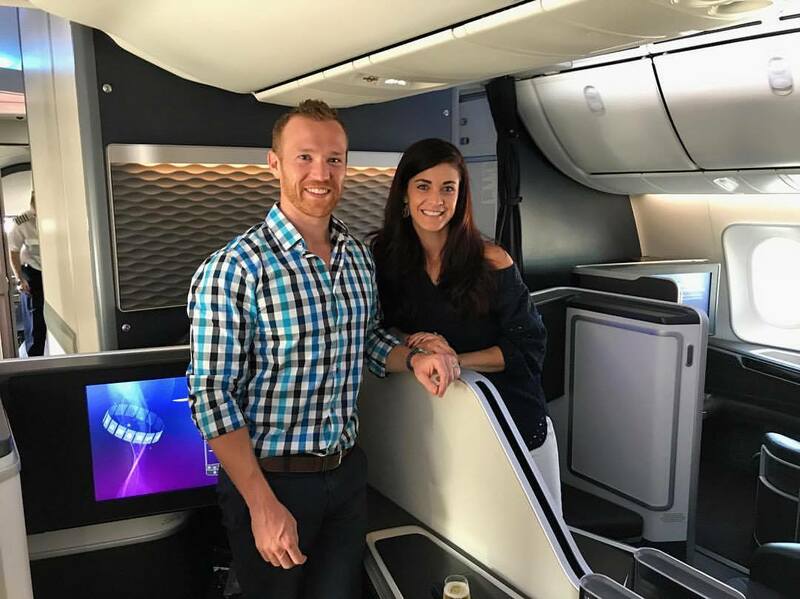 While the out of pocket cost will still be a couple thousand dollars for a business or first class flight, this can be a fraction of the cost of a cash ticket. Time your purchases smartly during big sales so you can get the most miles possible. Now, we’ve discussed when it might make sense to buy miles, but we need to be clear that buying miles speculatively is a very risky decision. If you don’t know exactly when you’ll be using the miles you buy, don’t buy the miles! In fact, the ideal time to buy miles (if absolutely necessary) is right before you redeem them. Miles and points are not an investment that increases in value over time, so buying and holding them is extremely risky. When you consider the no-notice devaluations of award programs that we’ve seen by airlines such as Delta, this should be very clear. Bottom Line: Don’t buy miles unless you know exactly what you are going to do with them! Buying miles isn’t going to be for everyone. Purchasing a few miles here and there might not cost too much, but buying a significant chunk of miles will easily cost you over a $1,000. With that in mind, it’s vital that you be strategic when buying miles. If there is a sale on miles and you have an award to book, maybe it will be the right move for you. Otherwise, utilize your credit card spending and sign-up bonuses to plan ahead, so you’ll have the miles or points you need when you want to book an award flight or hotel stay. Remember, if you buy miles, you want to make sure you are going to get a ton of value out of them! After all, the point of your miles and points is not to spend more than necessary for a redemption! Should you buy miles or points? Maybe. This depends on your personal situation. If you are close to being able to redeem miles for an award flight or points for a hotel stay, it might be a good deal. Points.com is a company that provides a market to exchange and redeem points. However, the value that these options provide is generally quite poor. The company also sells miles and points on behalf of airlines and hotels. What is the Points.com Loyalty Wallet? Similar to AwardWallet, Points.com has a product called AwardWallet that helps people keep track of their miles and points in one place. I just purchased some points (60,000) from IHG (-points.com)- I did see the charge on my credit card right away and I am now able to see my 60,000 points in my IHG account but I still don’t see the 60,000 bonus I am due as per the promotion that ended yesterday.